Health care fraud continues to be one of the industries from which the FCA recovers billions in fraud. Whistleblower.org reported that the single largest health care fraud case in 2016, in which Wyeth and Pfizer, Inc., paid $784.6 million for fraudulently pricing drugs for Medicaid patients, was initiated by two whistleblowers. The False Claims Act (FCA) is a law enacted in 1863, which says that any person who knowingly submitted a false claim to the government was liable for treble the government’s damages plus a penalty of $5,000 to $10,000 for each false claim. If a private citizen becomes aware of an individual or business that is committing fraud against the U.S. government, and they have evidence of that fraud, the individual can file a qui tam lawsuit on behalf of the government. If the person prevails, he or she will recover funds on behalf of the government. Depending on the facts and circumstances of the case, the whistleblower may be entitled to between 15 to 25 percent of the funds recovered in the lawsuit. If you want to file a claim, it’s a good idea to hire an attorney who has experience with qui tam lawsuits. It’s a highly technical and complex area of law, which requires considerable resources to see your case through to the end. 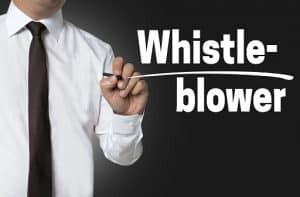 It is also important that you trust your law firm and have some level of rapport with them, as a whistleblower case may take a considerable amount of time, and you will be working closely with them. At Plattner Verderame, P.C., we are here to protect the rights of whistleblowers in Arizona. If your claim is successful, you stand to benefit financially for exposing this fraud – and you will feel vindicated that a wrong has been righted. Our firm accepts cases on a contingency-fee basis, so you will not pay attorney fees until we have successfully recovered compensation for you. We invite you to call us at 602-783-8793, or contact us today to learn what our team of experienced Phoenix qui tam lawyers can do for you.